Maheswari sarees has its history dating back to the18th century, when Queen Ahilyabai Holkar ordered various craftsmen from Malwa and Surat to design a special saree, which later came to be known as Maheswari sarees. 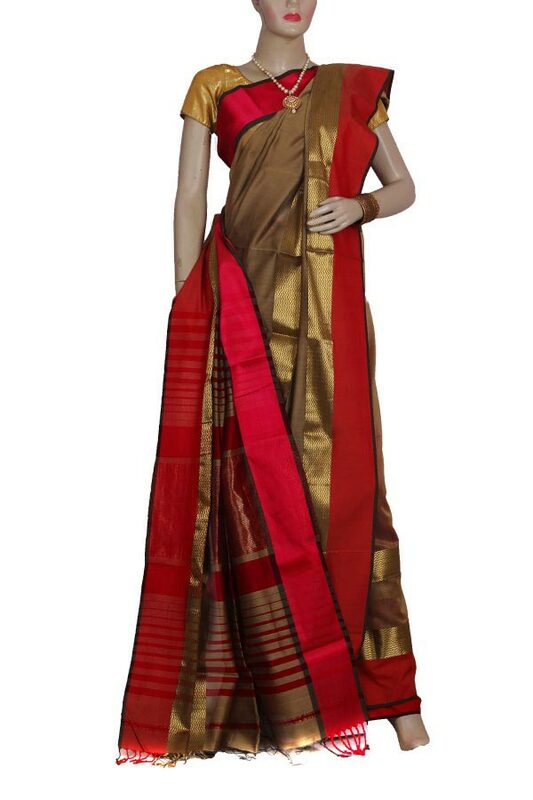 This Hand woven Clay and Red colored Maheswari Cotton Silk saree is a perfect fit in your wardrobe. Accessorize this saree with minimal jewellery of your choice.